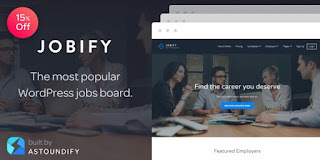 Create Your Job Site in Minutes with Jobify WordPress theme. If you want to build your own job site then this theme can be ideal for you. Famous for it’s five minute install, WordPress may be the part that takes the longest – installing the plugins and Jobify is fast and easy. You’ll be connecting businesses with people actively looking to fill positions immediately. SpotFinder is very clean and perfect solution for those who are keen to make a job board. This great theme has many options for you to create your own unique look and layout. This theme is also responsive. This theme is another great option those who are looking for a job board wordpress theme. Nine to Five doesn’t have different administrator layout, it’s just using usual WP dashboard so you don’t have to spend hours to leanr the new platform. This theme resposnive and very flexible. You can turn this into many shapes and looks. You can sort your listings by location, job type and category. This theme is providing you email templates so you can send automated messages to both advertisers and jobseekers. People can uplaod their CVs and apply for the vacancies through this system. There are also different type of payment options. Another great option for your job site can this Job Board WP theme from templatic. Developers of this theme didn’t forget any job board feature when they are making this awesome theme and job board solution. Automated payments, Google Map, email templates and etc are all within this simple but very powerful theme. Jobpress is a very special theme from fabthemes.With this theme you can host your own Job board for free. Registered users can submit job listings on your site and an admin can review and publish it. This theme is WordPress 3 ready with features like Custom menu, custom post types, custom taxonomies, Custom page templates, widgetized sidebar, and it includes 2 custom widgets and theme option page . JobJockey is a cost-effective solution that handles job posting and application within a WordPress environment. 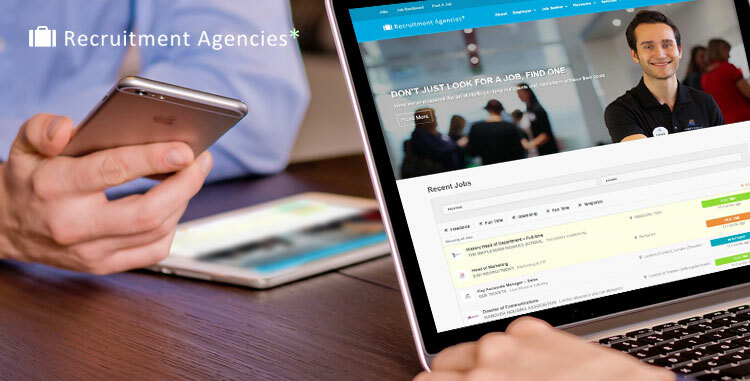 Alternatively, you could use JobJockey to turn your website traffic into money by letting people post job vacancies and apply for those on your own WordPress-powered website. Another excellent option for a job site is JobsHub wordpress theme. With the ‘auto pilot’ feature this theme has, your work will become easier than it never before. With its payment options such as PayPal and Bank Transfer, you will turn your site traffics become an income by letting people to post their CV and job vacancies then let them apply for the jobs available on your WordPress powered site. WPJObBoard wordpress theme makes your job a lot easier then you can imagine. This theme is very clean, powerfull and very easy to use.